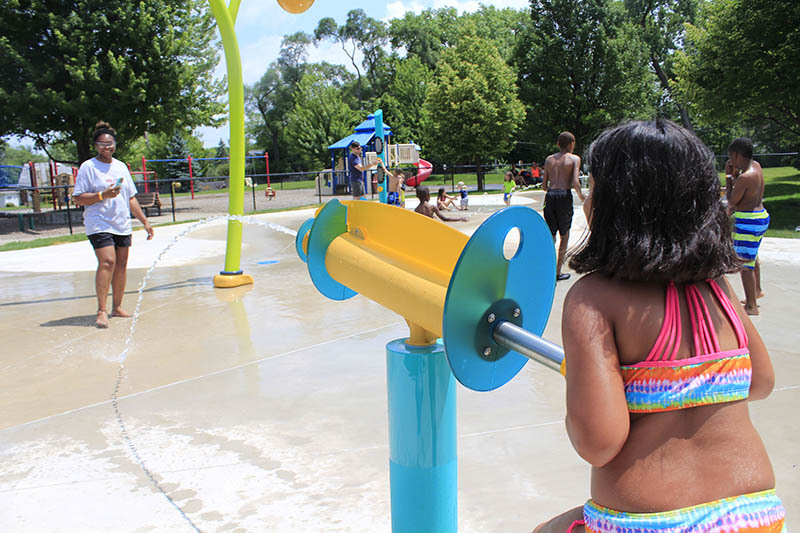 Adults will get their chance to make a splash on Thursday, July 26, at the Homewood-Flossmoor Park District’s new Splash Pad at Millennium Park, 18600 Harwood Ave. in Homewood. 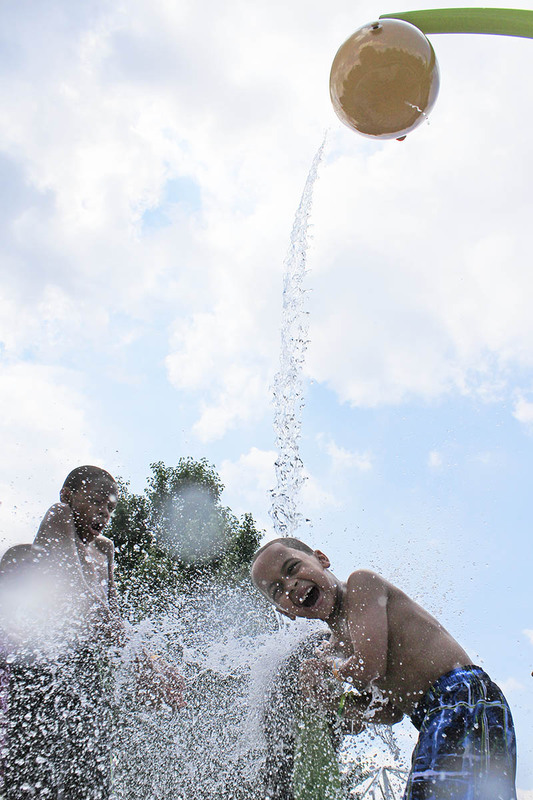 Evan Elzia laughs as he gets doused with cool water on a hot day. 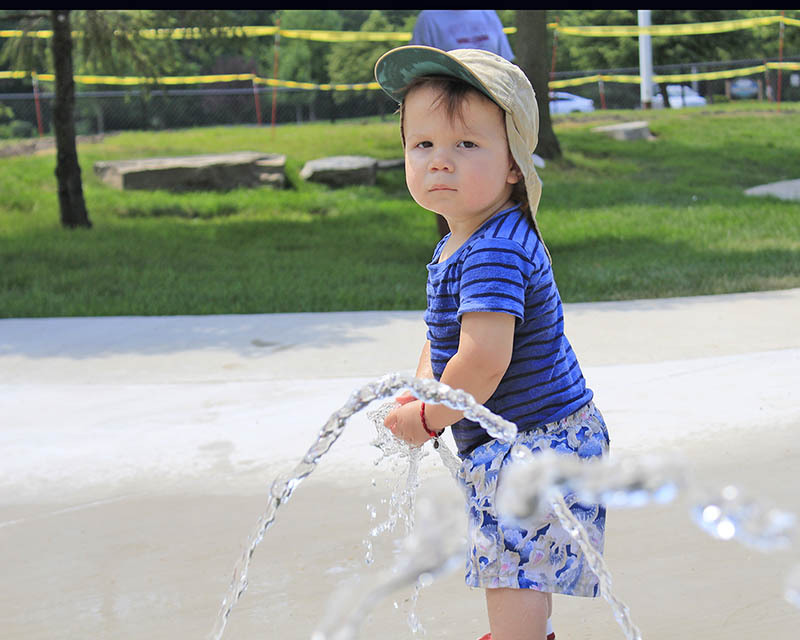 Young Brodie finds his favorite spot in the new Splash Pad. He was there on Saturday with his mom, Jessica Jursa, and his siblings. 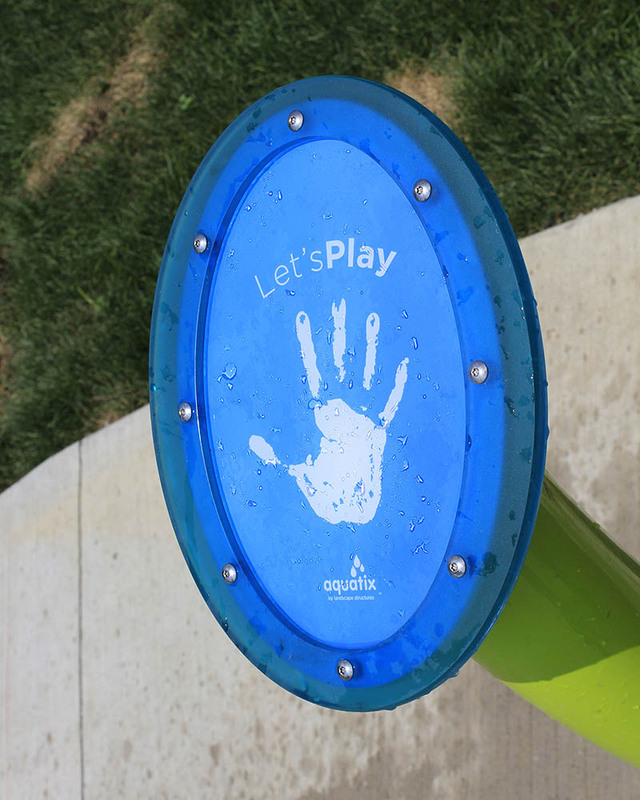 The hand-sized button that turns on the water features invites youngsters to play. Allison Morales dashes through chilly spray at the new Splash Pad. 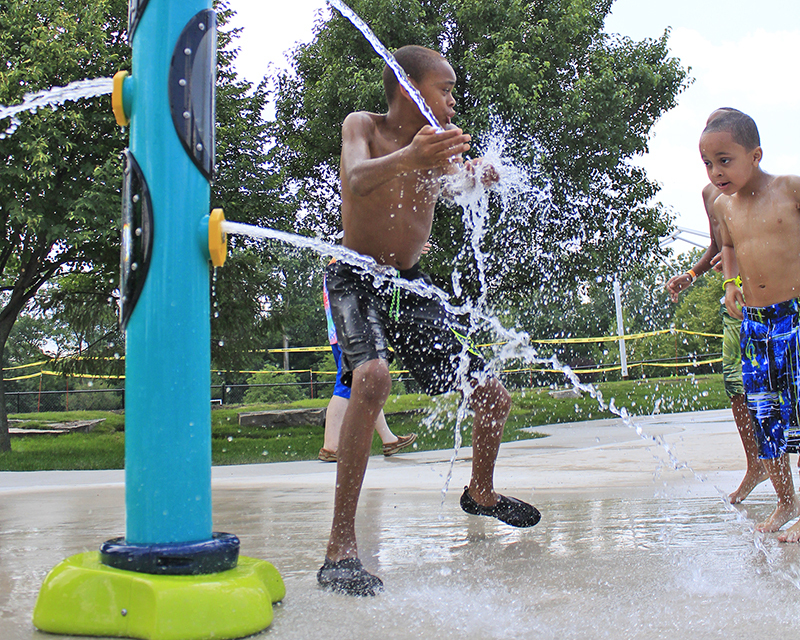 Sean, left, and his brother, Evan Elzia play in the water at the new Splash Pad on Saturday. Adalyn Morales runs through the spray. 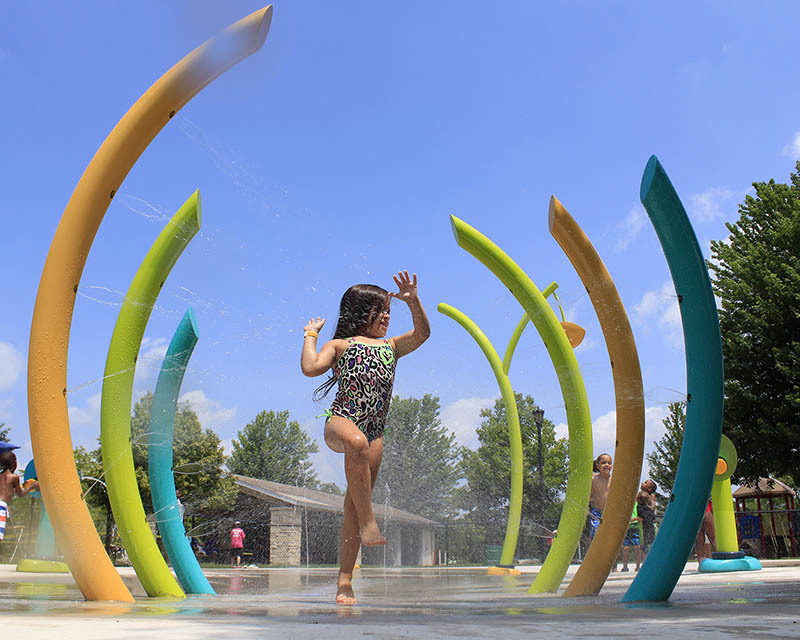 Within a minutes of the opening at noon on Saturday, the new Splash Pad at Millennium Park in Homewood was populated with more than a dozen frolicking children giving the facility a test run. The early reviews were favorable. "This is so much fun," Adalyn Morales shouted to her mother, Tracy Finfrock. 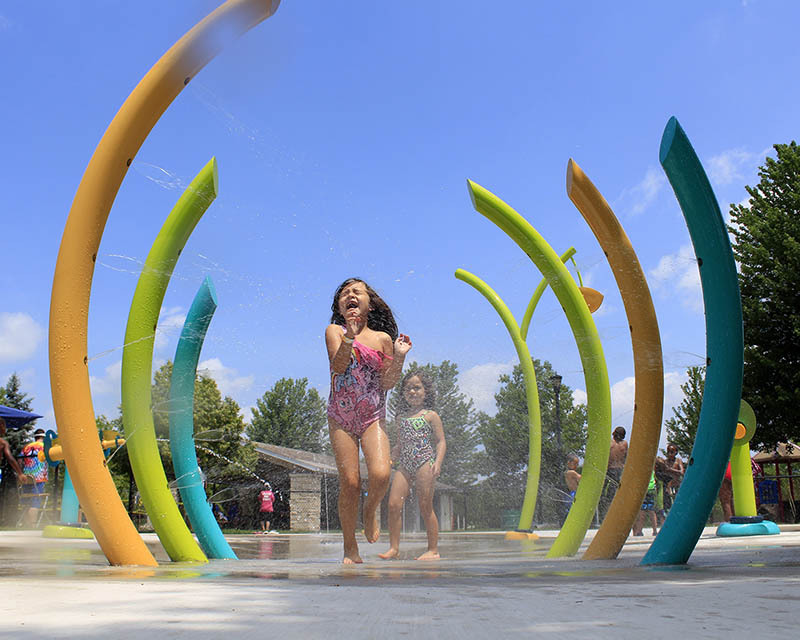 H-F Park District residents have free access to the Splash Pad but need to provide residency documentation through a driver’s license, utility bill or tax bill. Those with a current pool pass or H-F Racquet & Fitness Club photo ID can get a Splash Pad sticker added to the photo ID already issued. Millennium Park’s Splash Pad is almost ready. July 1 is the target date for turning on the bubbling water fountain designed for young children. 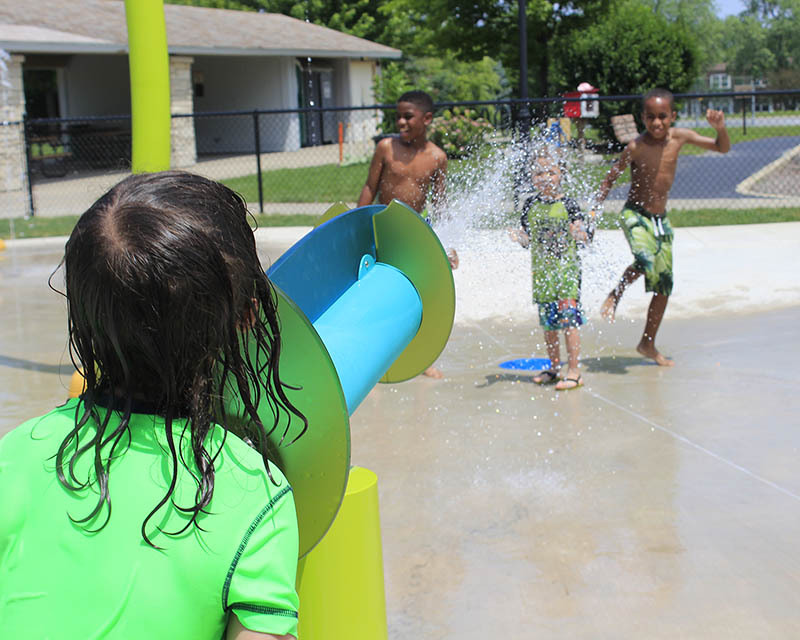 Young children will get to enjoy a 2018 model of the Splash Pad this summer. Construction on the new amusement is expected to begin in early April and be open to the community on Memorial Day weekend. Millennium Park will get a new Splash Pad in the spring, but it will cost more than what was budgeted. The Homewood-Flossmoor Park District is expected to approve a budget amendment at its Dec. 19 board meeting for another $100,000 to be added to the $200,000 already allocated for the project. Millennium Park’s Splash Pad, a bubbling water fountain designed for young children, will be replaced by spring 2018. 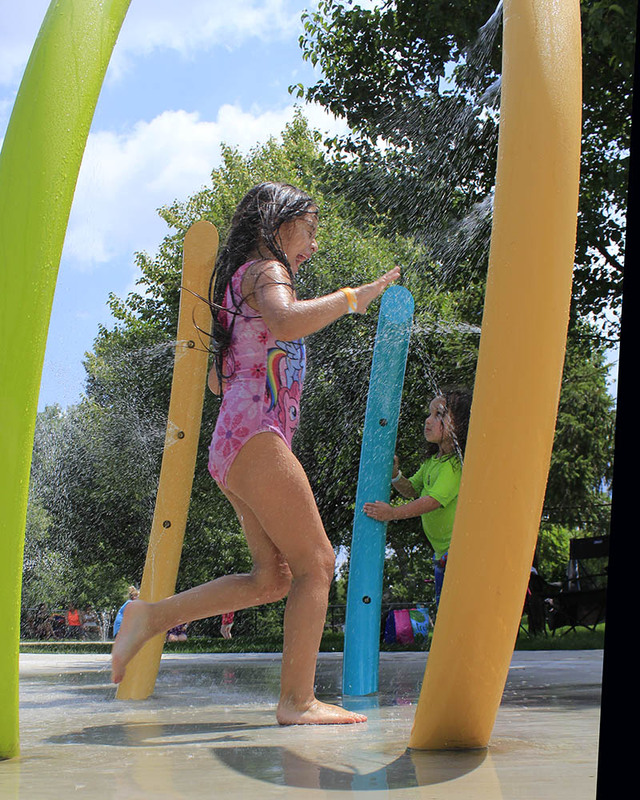 The Splash Pad was installed in 2000 when the park opened and it has delighted children throughout the summer months. But age and harsh winter weather haven’t been kind to the water feature. 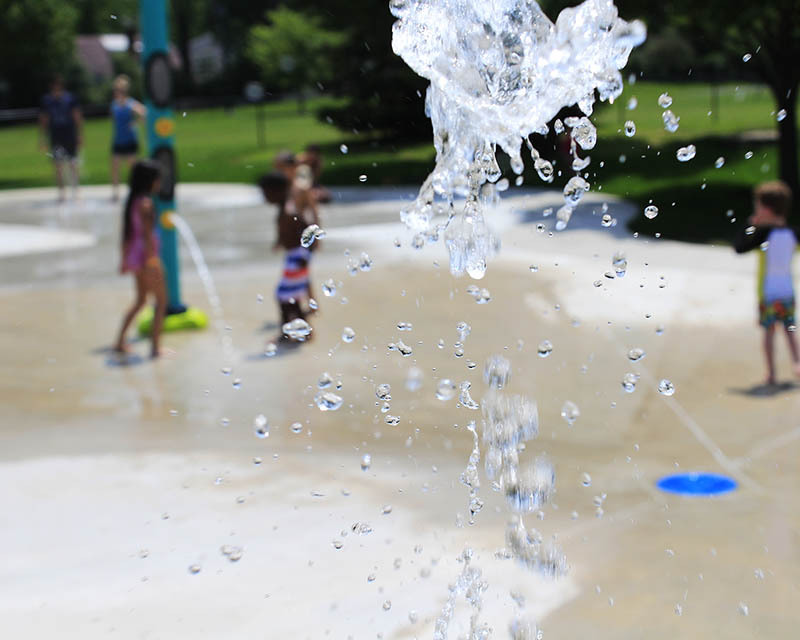 The splash pad at Millennium Park is expected to be in working order next summer for the enjoyment of young children, but park officials said it’s not too early to consider a plan for replacing the 15-year-old equipment, which experienced a number of problems this past summer.